This is the second edition of a highly successful textbook (over 50,000 copies sold) in which a highly illustrated, narrative text is combined with easytouse thoroughly reliable laboratory protocols. 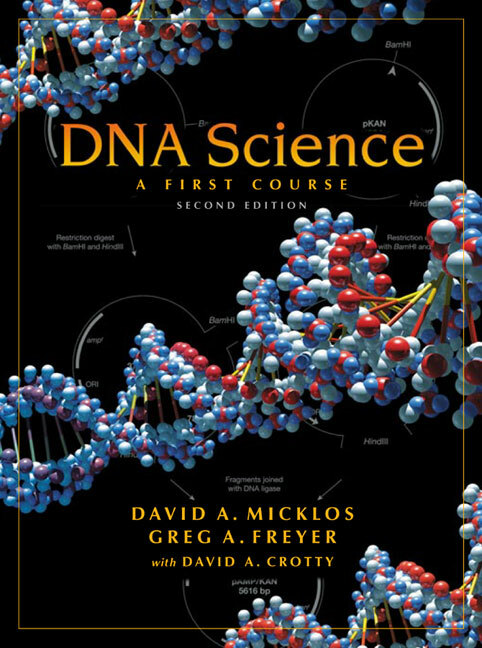 It contains a fully uptodate collection of 12 rigorously tested and reliable lab experiments in molecular biology, developed at the internationally renowned Dolan DNA Learning Center of Cold Spring Harbor Laboratory, which culminate in the construction and cloning of a recombinant DNA molecule. Proven through more than 10 years of teaching at research and nonresearch colleges and universities, junior colleges, community colleges, and advanced biology programs in high school, this book has been successfully integrated into introductory biology, general biology, genetics, microbiology, cell biology, molecular genetics, and molecular biology courses. The first eight chapters have been completely revised, extensively rewritten, and updated. The new coverage extends to the completion of the draft sequence of the human genome and the enormous impact these and other sequence data are having on medicine, research, and our view of human evolution. All sections on the concepts and techniques of molecular biology have been updated to reflect the current state of laboratory research. The laboratory experiments cover basic techniques of gene isolation and analysis, honed by over 10 years of classroom use to be thoroughly reliable, even in the hands of teachers and students with no prior experience. Extensive prelab notes at the beginning of each experiment explain how to schedule and prepare, while flow charts and icons make the protocols easy to follow. As in the first edition of this book, the laboratory course is completely supported by qualityassured products from the Carolina Biological Supply Company, from bulk reagents, to useable reagent systems, to singleuse kits, thus satisfying a broad range of teaching applications.